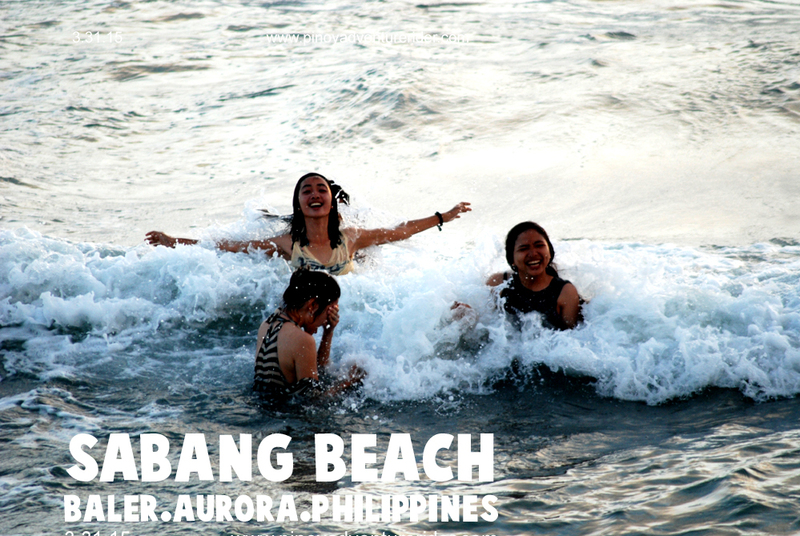 Sabang Beach is the most popular with surf shops and schools that cater to the novice and the seasoned surfer. 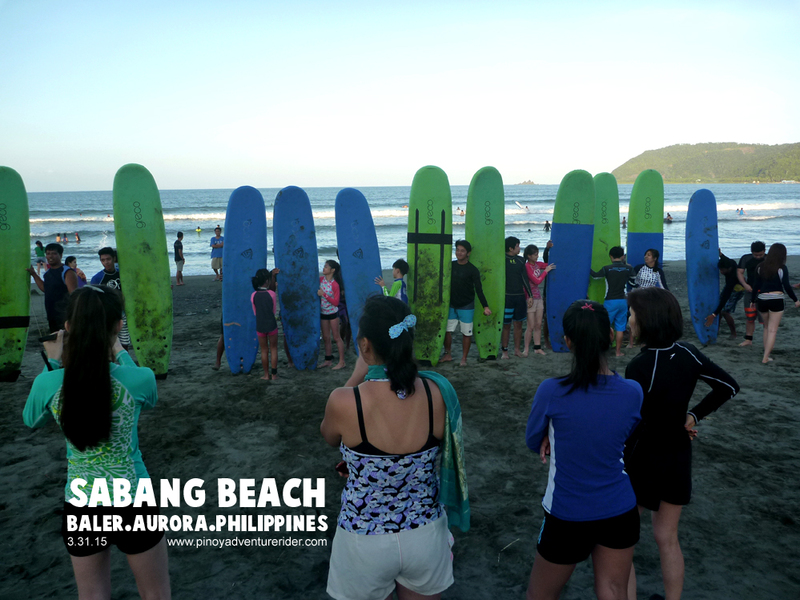 The best time to surf is September to March. It’s Holy Week of 2015. A long ride is in order. 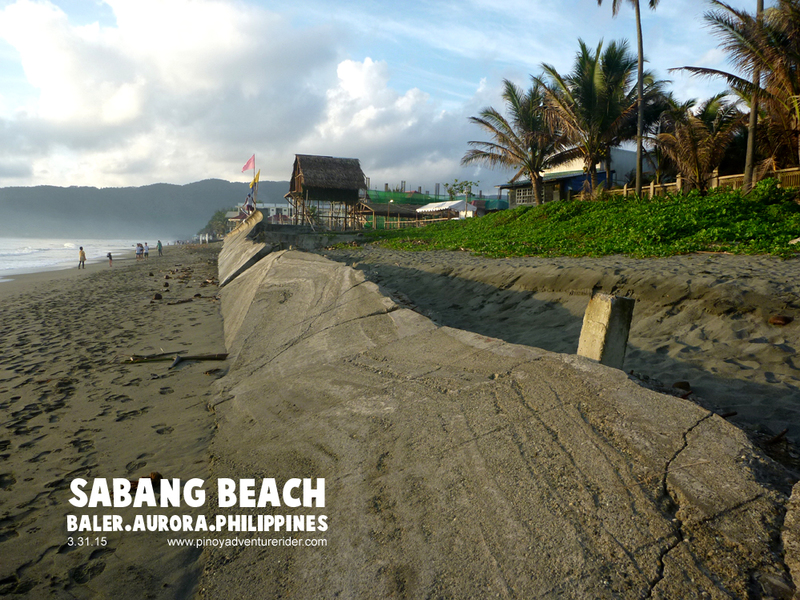 PAR is targeting visiting Sabang Beach, Baler in Aurora Province as it is getting quite an attention from the mainstream media as the “Surfer’s Paradise in the Philippines”. 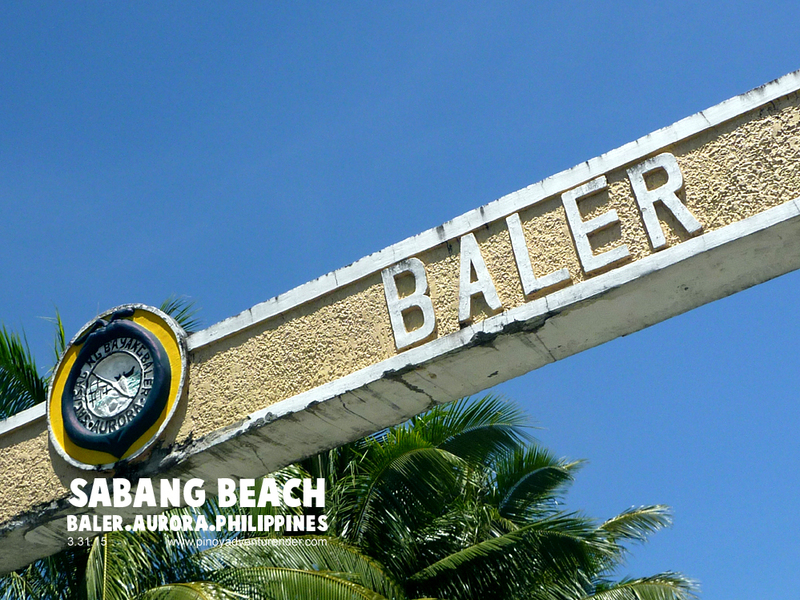 Furthermore, one of my clients in the travel business informed me that starting this year, they will be offering Baler as one of their packaged travel destinations. We have to investigate. It was 2:30 AM. March 30. Monday. 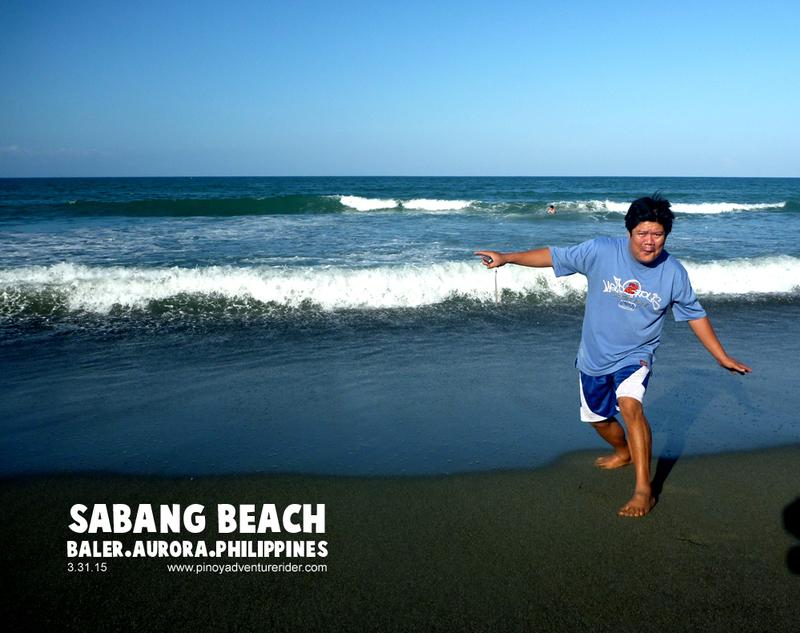 PAR Raffy Concepcion and I will take this trip. 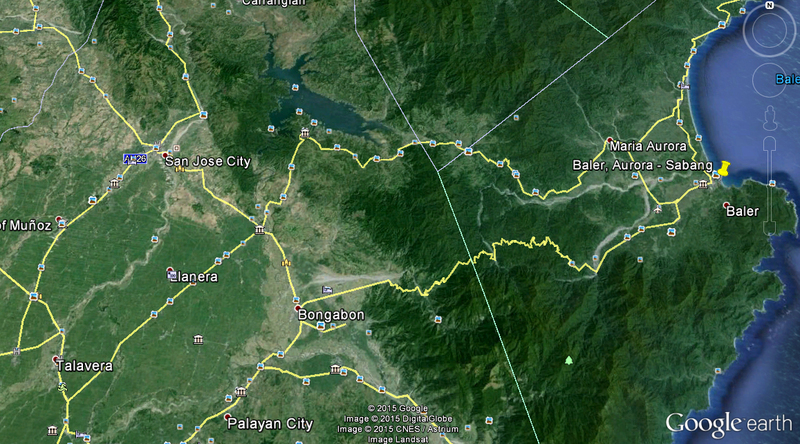 Our ride to Baler will take us to Cabanatuan City in Nueva Ecija 171 kms. before turning right 114 kms. 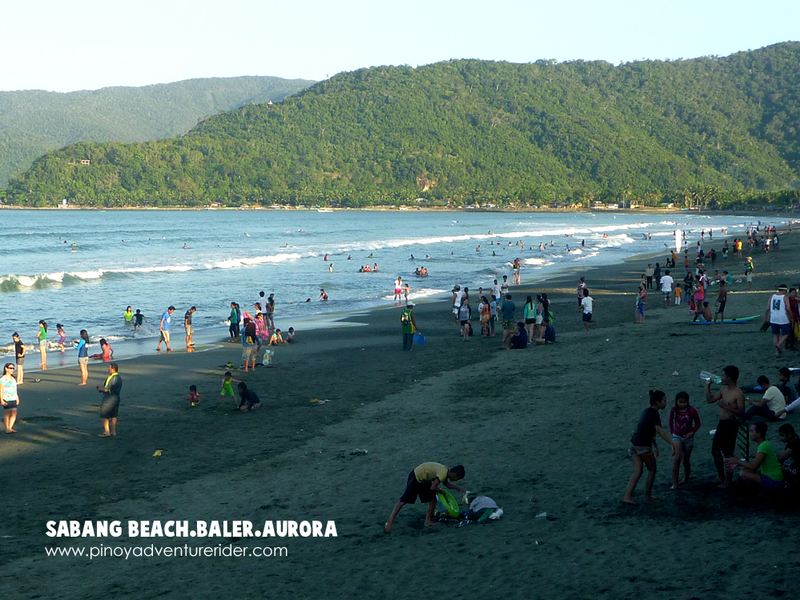 more to Baler. 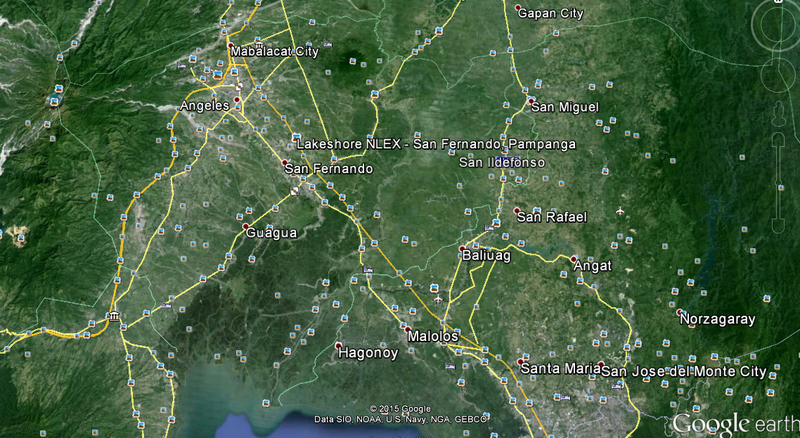 From Marikina, we took the Batasan road to Fairview, then towards the Norzagaray, Bulacan route. We will enter the National road via Bustos, Bulacan in no time. 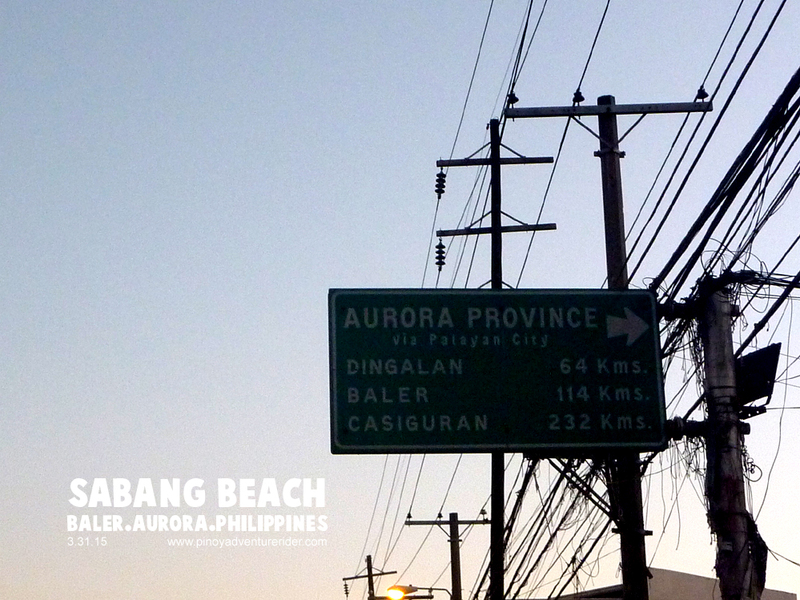 Since we are riding in the wee hours of the morning, traffic is very minimal and by 530 AM, we reached Cabanatuan. 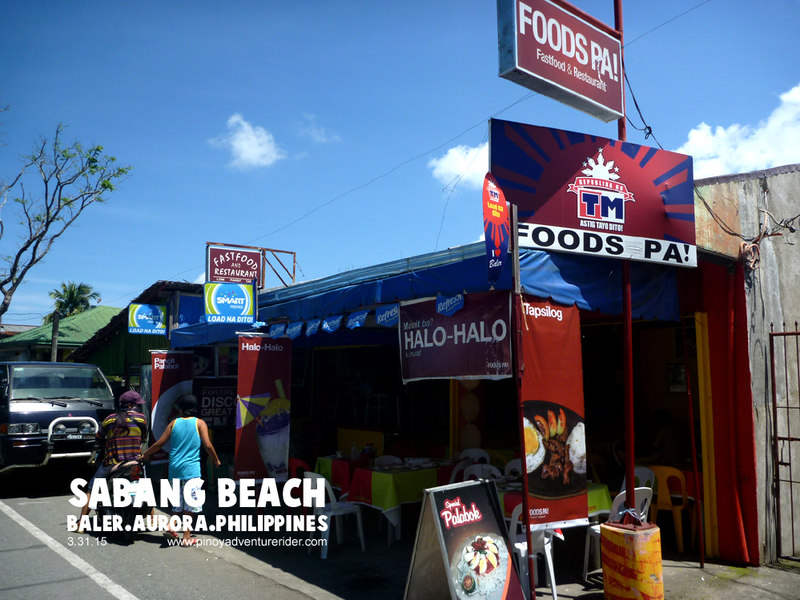 We had our breakfast at a nearby Jollibee fast food. 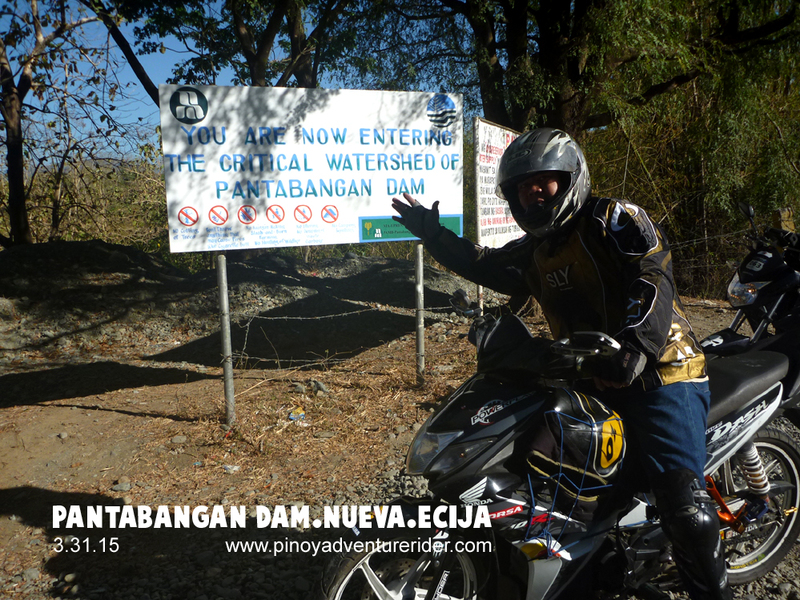 At 7am we road towards Pantabangan dam via Talavera NE then Rizal NE and finally, Pantabangan, Nueva Ecija. 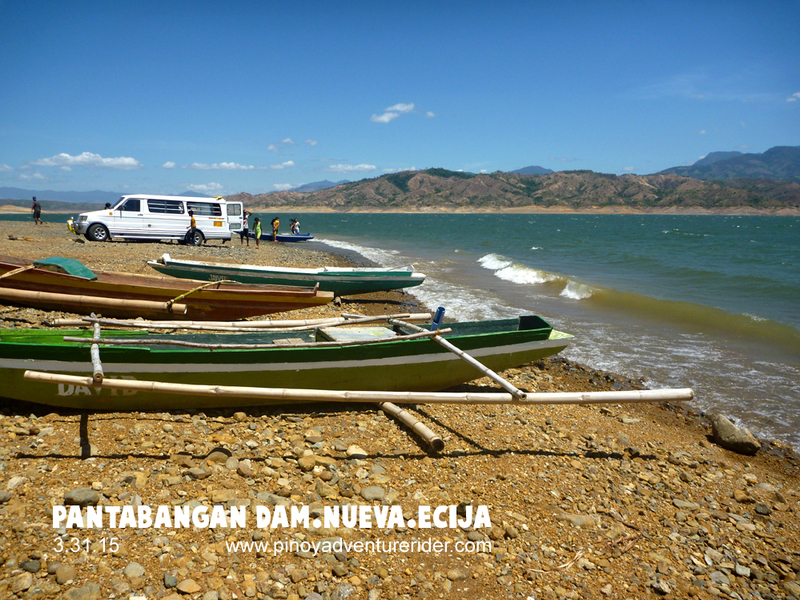 I visited Pantabangan before with Mon Canaway. Now I’m taking Raffy to see it. It has been years since I’ve been in this dam. 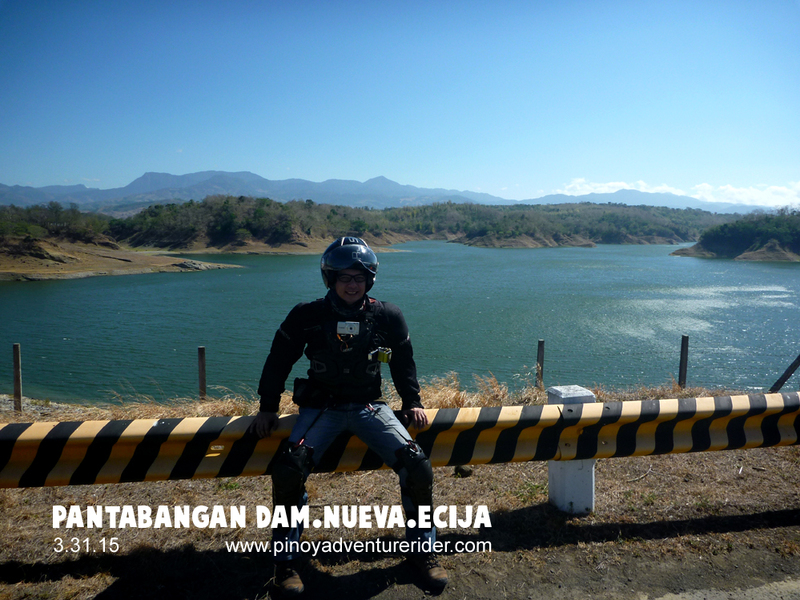 Following the Garmin GPS, we stumbled at Villa Reyes Lake View Resort. We met the owner and he had a nice place at the spillway section of the dam. 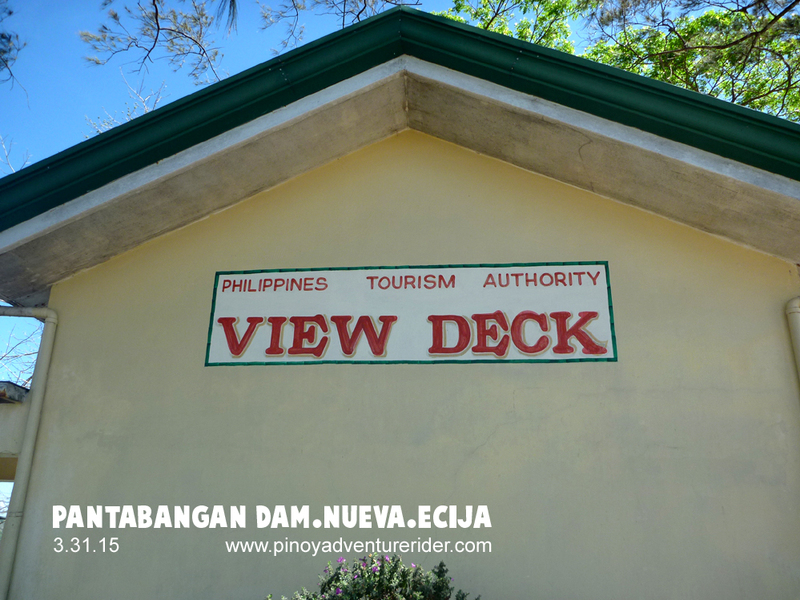 They have lots of activities at the resort but swimming at the dam is not one of them. He told me that the dam takes a life every year. The dam is full of silt below, trapping and drowning the swimmer. We had orange juice and the staff gave us a tour of the resort. We rode on and we want to see the dam wall itself. We asked for a little direction and we found ourselves here 8 kms. away from the main road. 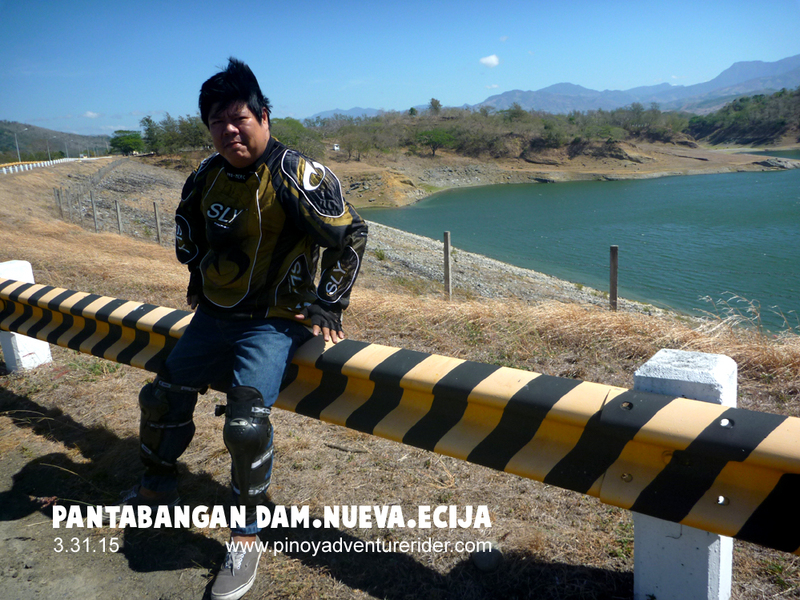 The dam vicinity is very clean and has breathtaking, beautiful view. The staff of the dam are very courteous and friendly. This dam has a tourist area and it is for free. No fees whatsoever . It’s worth visiting and educate your kids where water from the tap is coming from. 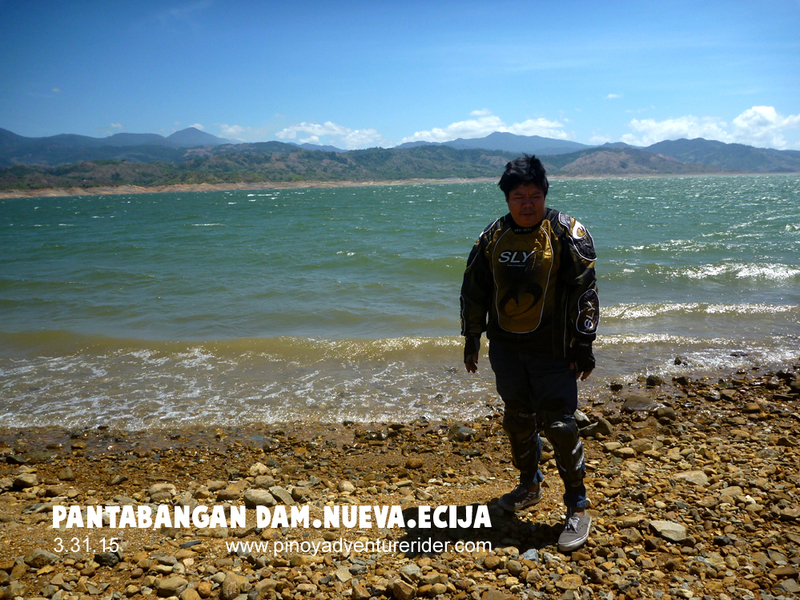 As we road out, we circled around and went to the inside of the dam I was informed that 10 barangays went underwater for this dam. It’s huge. After some shots we rode on. We traversed the 46 km. 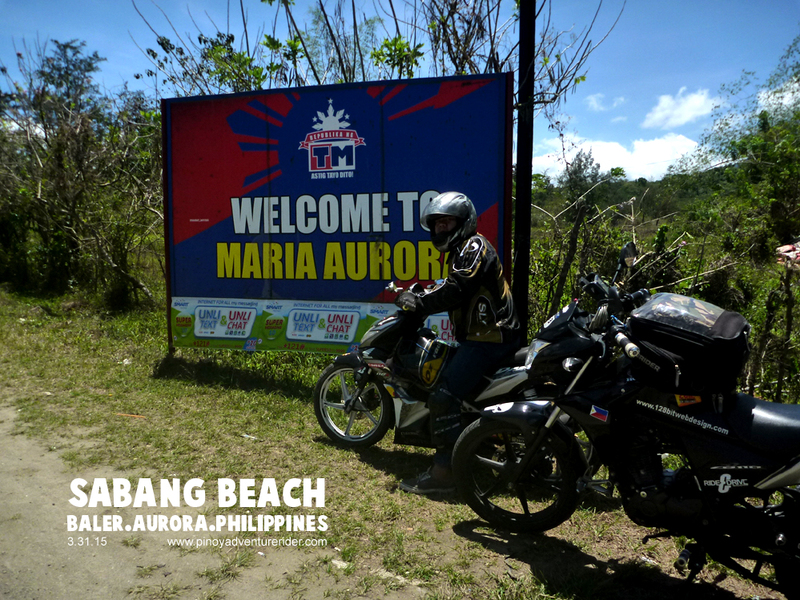 twisties going to Maria Aurora. The roads are in great condition. It’s just mountainous with steep ups and downs. Old vehicles are breaking down due to overheating. The air smells like burning vehicle brake pads. 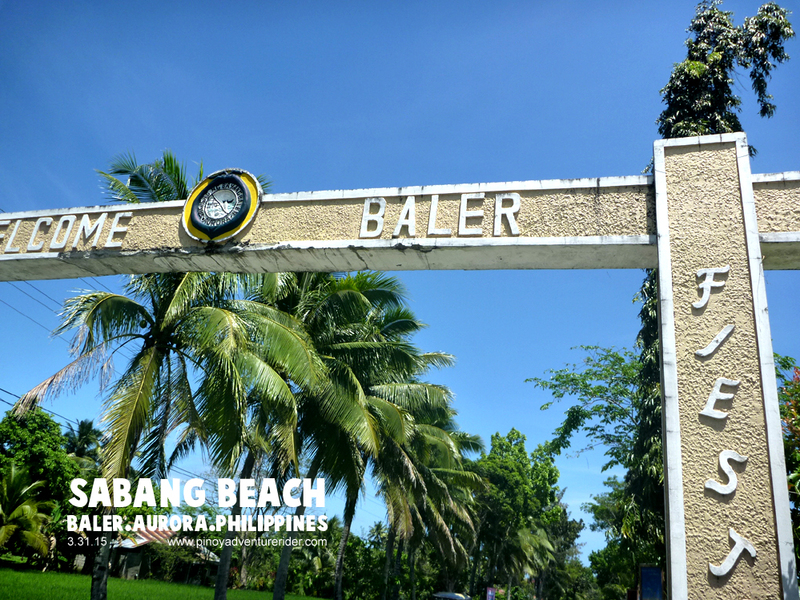 In no time we arrived at the Baler arc. It’s 1 PM. Lunch time. We saw a nice diner. After a lunch of fish and squid, we relaxed a bit. Now it’s time to find a place to stay. 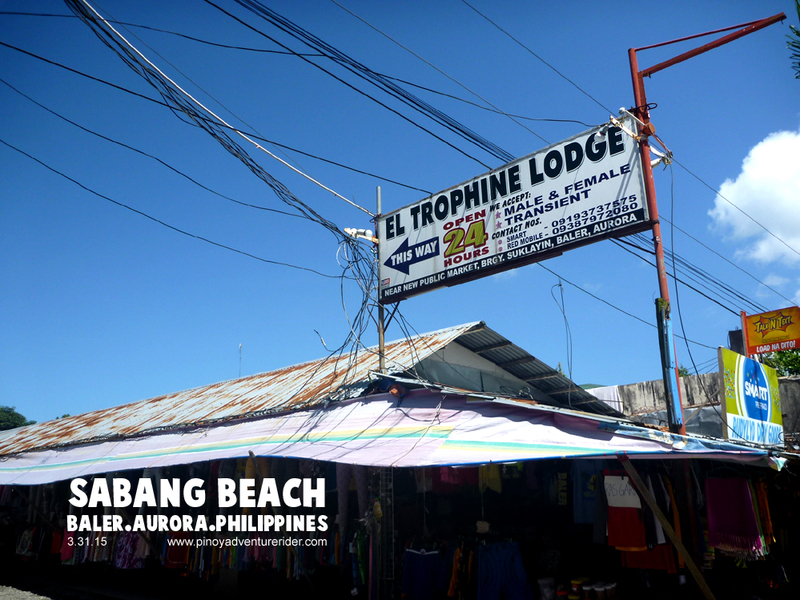 The owner of the diner directed us to El Tropine Lodge (transient home usual fee is just Php 300-500 per day – very cheap) near the Baler Market. It’s a bit far from the beach. 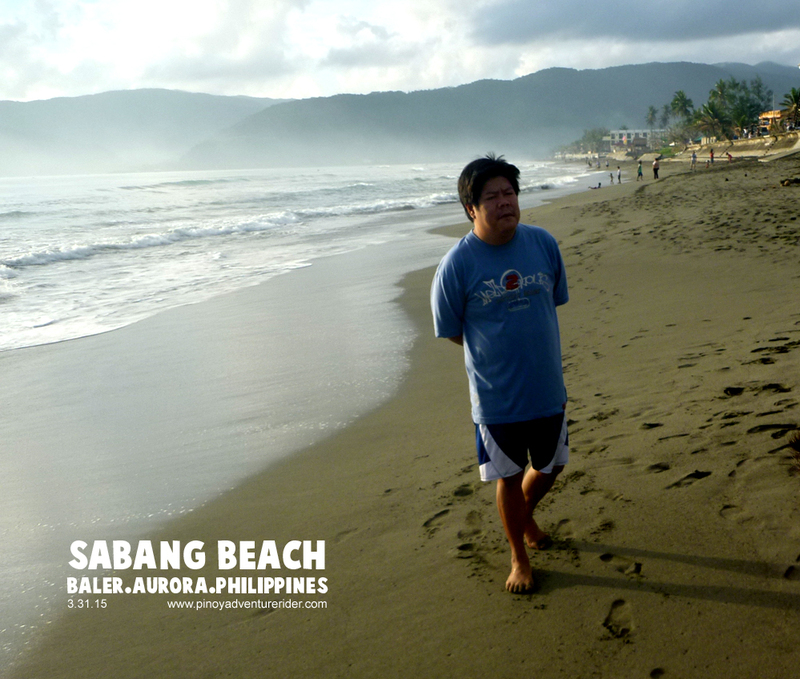 We tried going towards the Sabang Beach(since this is our target). The first, second and third roads go to the front and center hotels and through my advance online research, are fully booked by this time. We turned right at the fourth road. 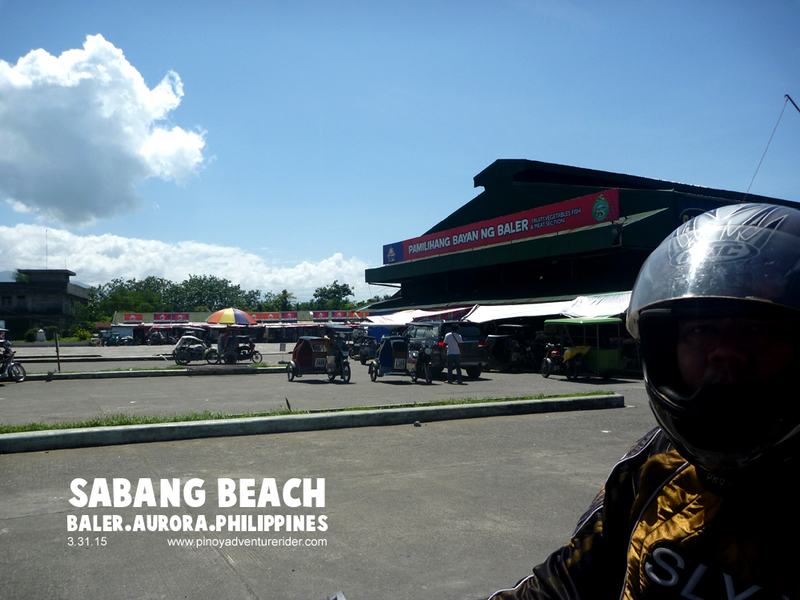 Going towards the Sabang beach, we found the El Dawn Inn. I tried blindly and asked if there is vacancy and by sheer luck, there is. 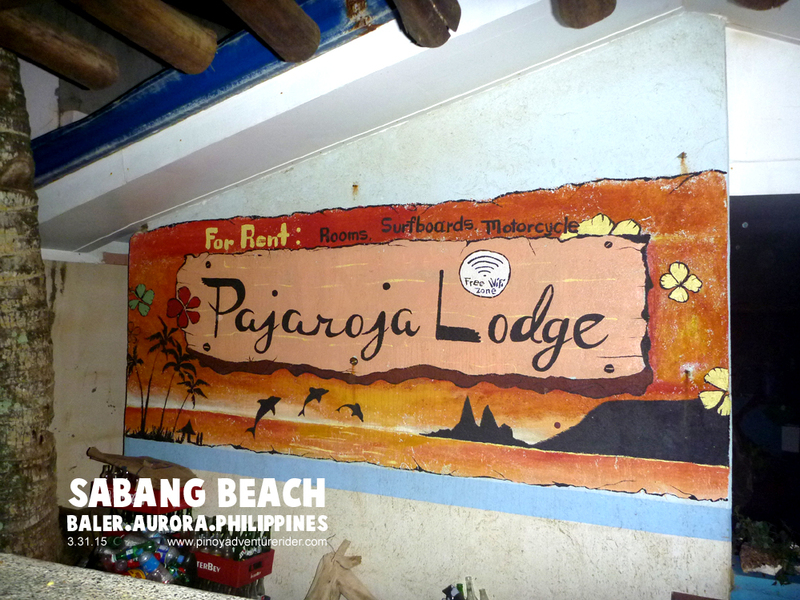 There is even a discount at Php 1300 a room, that’s a good deal. 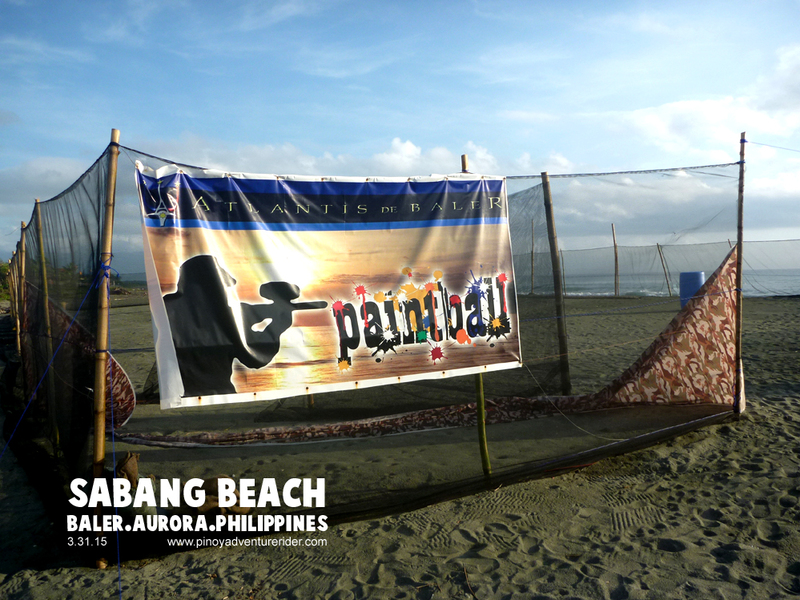 El Dawn Inn is a beach front inn beside Aliya Surf Resort. 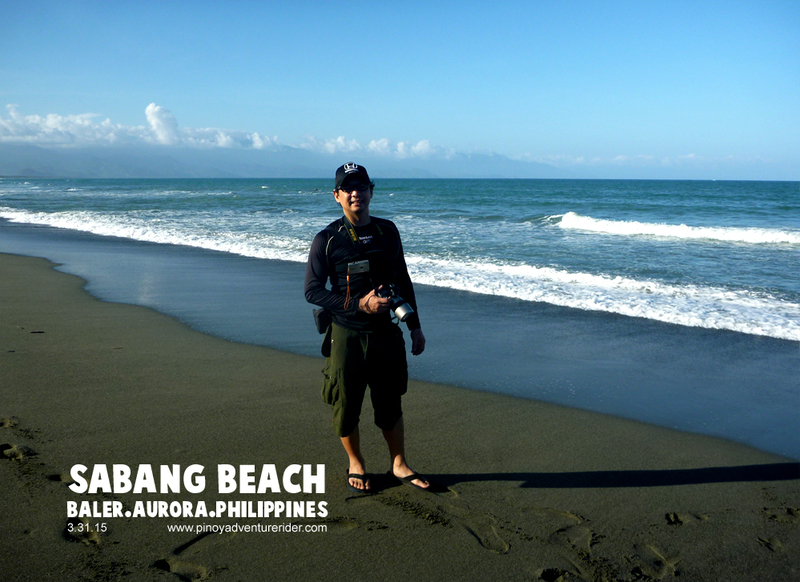 We settled in and after a while, we roamed the beach. Waves are good and relentless. No other activity at the water but surfing. 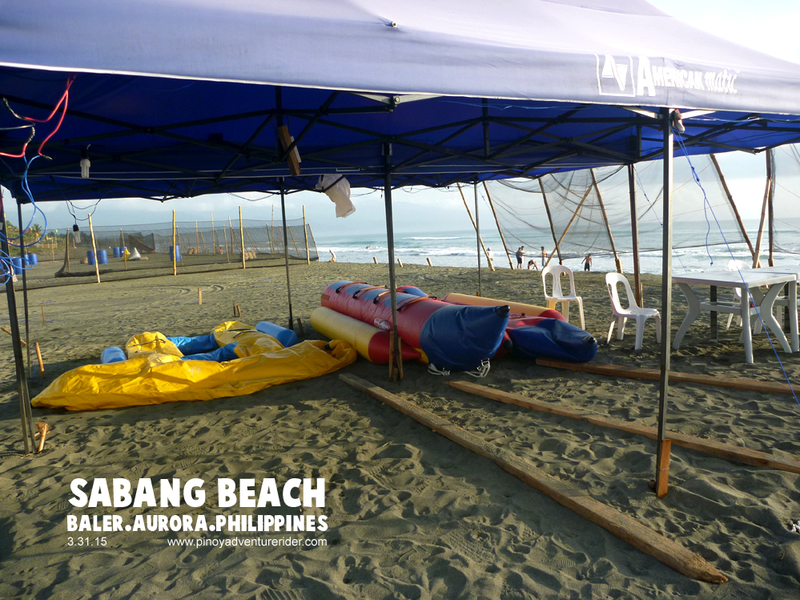 I think the wavy water is not suited for other water sport. 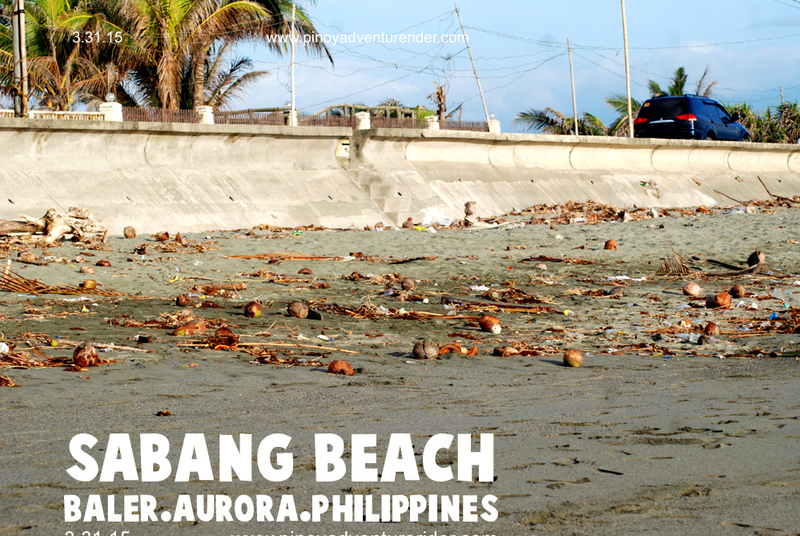 I noticed that the beach is dirty the breakwater wall is busted. 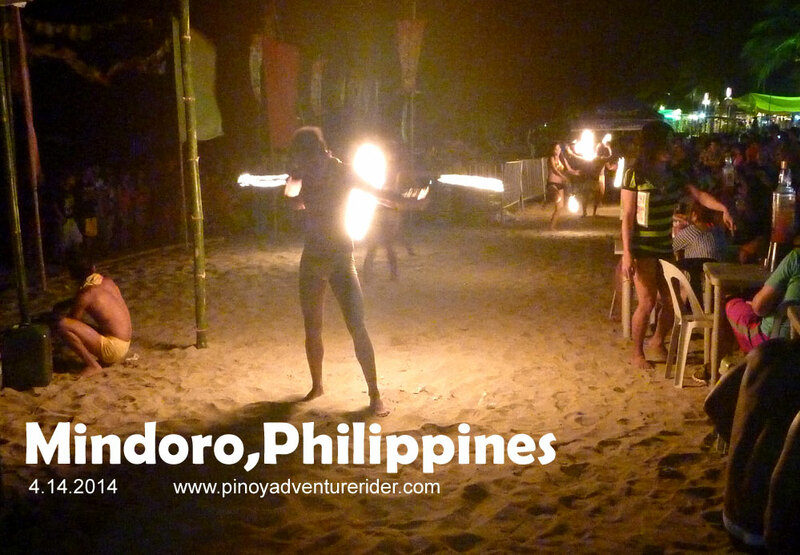 Night fell and there is no beach nightlife here unlike in Boracay and Puerto Galera. 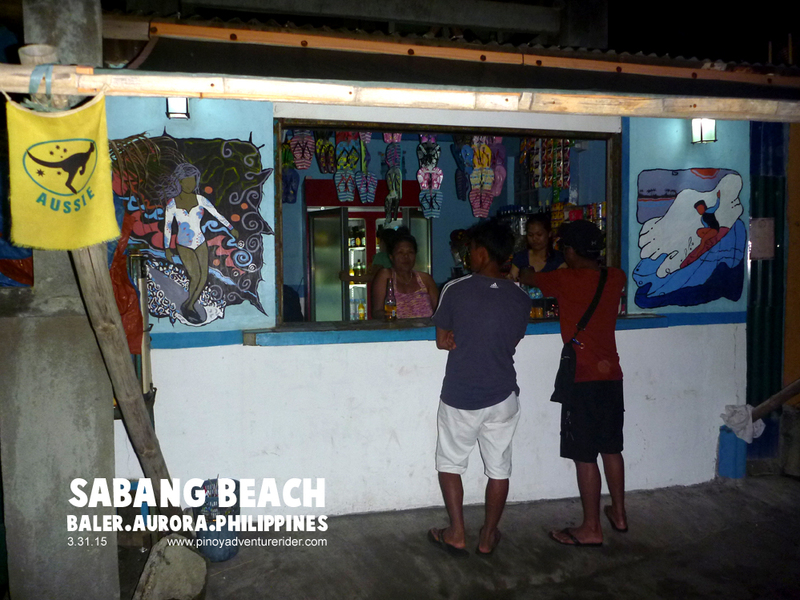 But the nice thing is there is a SARI-SARI store at the beach front selling cheap beer, wine, liquor and stuff that you can eat and drink at the beach. This tells you that this place is still a bit unchartered. The owner and staff are very friendly and fun to chat with. There’s the famous VW Beetle-turned grill. It’s a piece of art. This place has a potential but not quite there yet. That’s just my opinion. 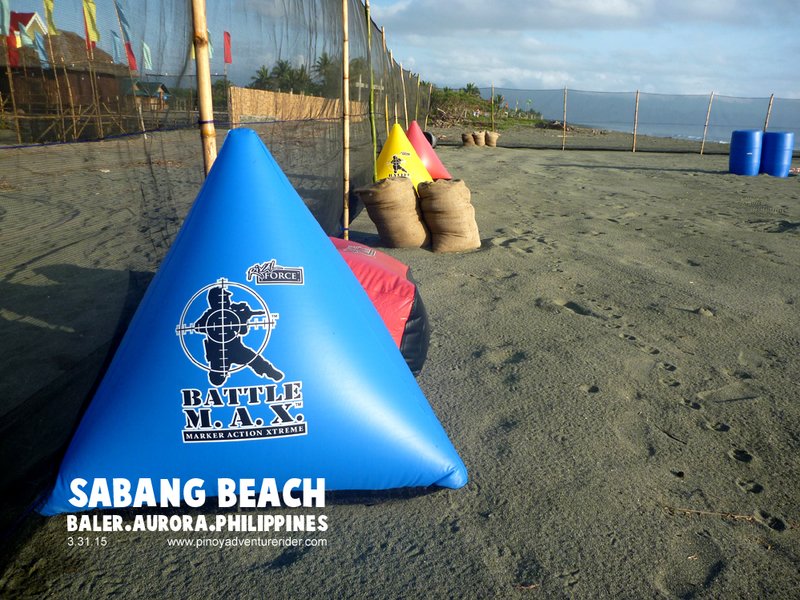 There is also banana boating but in a separate man-made lake. 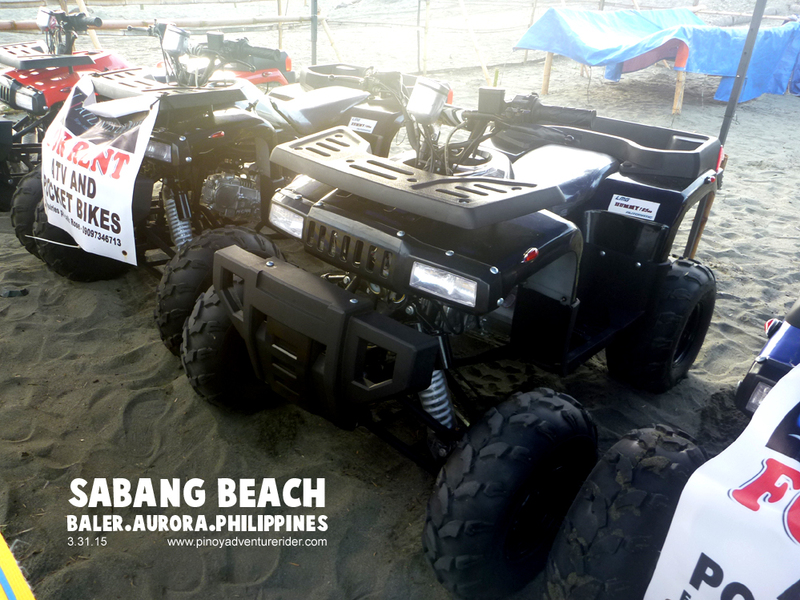 Get some ATV action. Rental is 800 per hour. 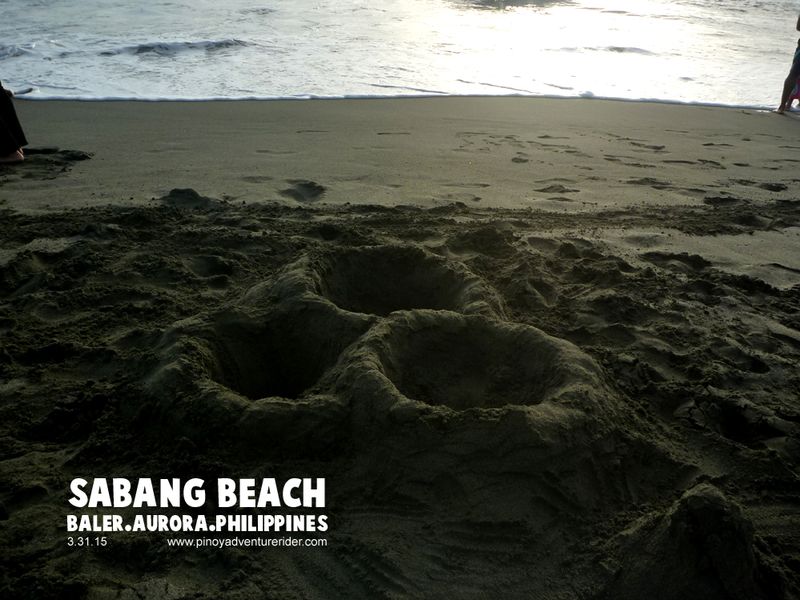 You can also just walk by the beach. 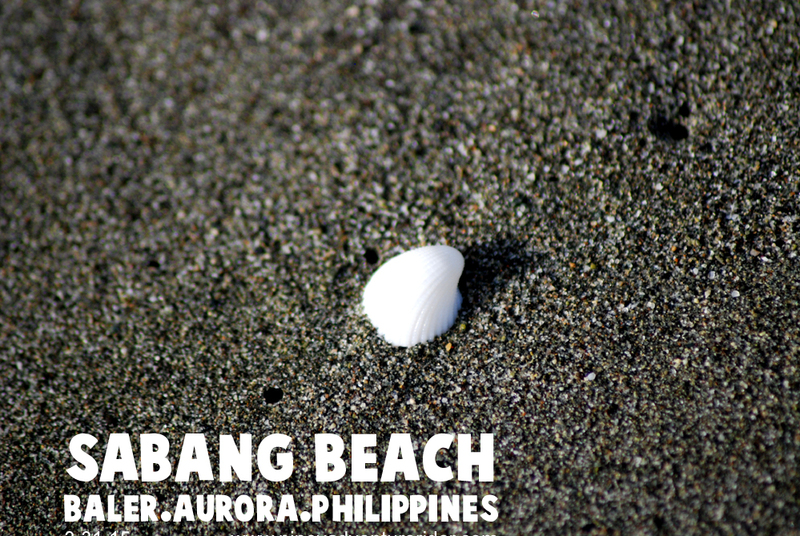 Watch the surf and collect some sea shells. Just chill and enjoy the company of friends. Don’t get me wrong. 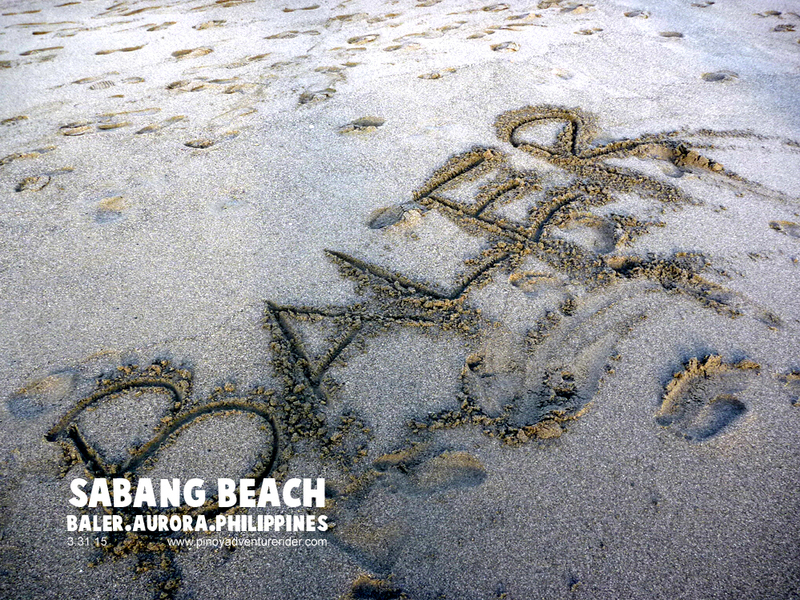 We love Sabang Beach and we enjoyed our visit. It just needs a bit of tweeking to really become WORLD CLASS.